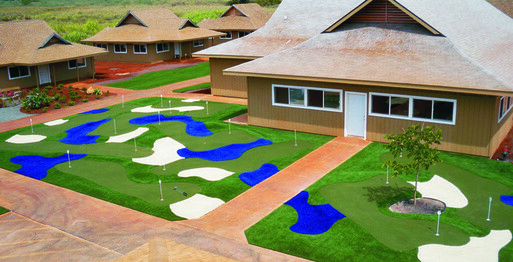 Halemano Plantation's North Shore synthetic golf course has 18 holes, faux water ways and sand traps all with NyLawn's synthetic turf and our variety of colors. This tether ball court at Halemano Plantation offers their guests fun recreation ready at any time. Using NyLawn's synthetic turf makes it maintenance free! 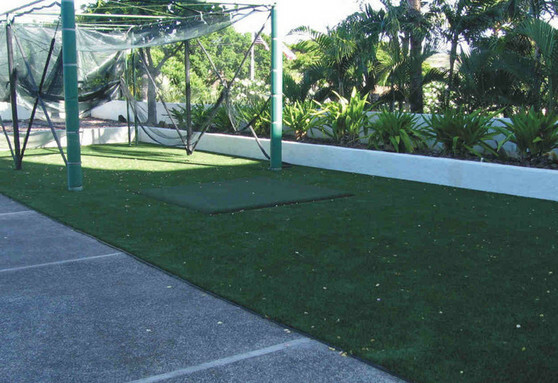 provides a great place to practice at home. their golf swing before hitting the course.